A special congratulations to Bitzer (Owner Ruth Green) and Simba (Owner Christopher Jon Wright), the very handsome winning dogs who have earned a place in the Litter Free Cast & Sea Somerset leaflet and new owners of the amazing Bogg bag. Their photos (see below) won the hearts of our judges, as they felt they were the best fit for the competition! 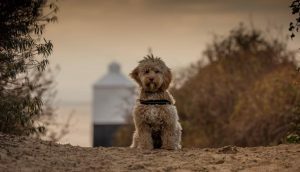 Bitzer taken by Ruth Green on an alley leading to the beautiful Burnham Beach lighthouse. 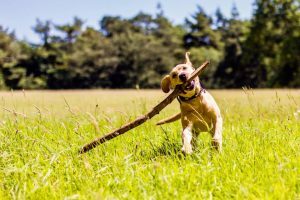 Simba taken by Christopher Jon Wright enjoying a ‘small’ stick in the countryside. The winners and the first four runners-up will receive a bogg. 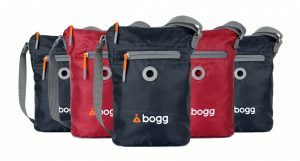 Bogg is a new, all-in-one, dog bag dispenser and waste carrier. Stylish, lightweight and rain proof, it will carry full bags of poo securely and discretely until a suitable bin is reached. ” I helped Bogg bags judge the photos and I’m so happy to see so many dogs enjoying our beaches, rivers, parks and woods. 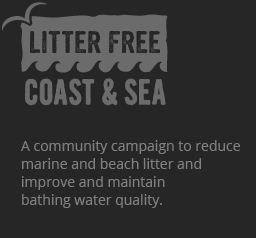 All dog owners can all help to protect our beach and countryside by keeping it free from dog waste. Although most dog owners are responsible and bag & bin their dog’s mess, just one ignored poo can lead to others following suit not only creating a pollution problem but also making the area look littered and dirty – not nice! Bogg the all-in-one, dog bag dispenser and waste carrier.